We all have our treasured Christmas traditions, but in other parts of the world, typical yuletide celebrations can be a tad unusual. 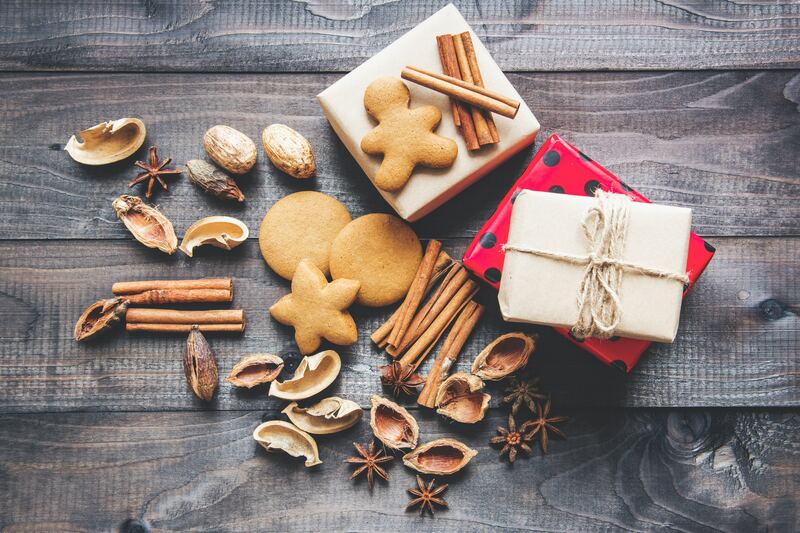 Take a break and RELAX as you read through our list of some of the strangest Christmas traditions from across the globe. The festive South African delicacy is not for the faint hearted. Forget Christmas pudding on Christmas day, instead locals tuck into the juicy deep-friend caterpillars of the Emperor Moth. 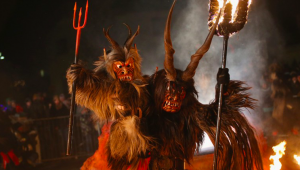 At Christmas time, Austrian children live in fear of Krampus. The horned figure, often described as half-goat, half-demon, apparently preys on naughty youngsters, armed with rusty chains and bells. On the evening of December 5thsomeone dresses up as Krampus to roam the streets, terrifying children and threatening them if they have been naughty. He’s so creepy he was banned in Austria in the 1930s for being too terrifying. Catalonia – The Pooping Man. And the Pooping Log. Yes, it’s a Thing. There is a suspicious amount of defecation involved in Catalan holiday celebrations. Catalonians traditionally include the figure of the Caganer their nativity scenes – a small statue of a defecating man with his trousers down. The Caganer (which literally translates to ‘the pooper’) is usually tucked away in a corner of the scene, far from Mary and Joseph as he needs privacy because he is defecating. Kids have a blast trying to find him. 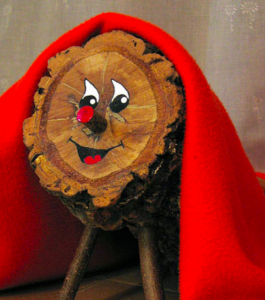 Catalonians also have the Tio de Nadal, which otherwise known as the ‘pooping log’ is like a cross between a Tamagotchi and a piñata. Decorated with a face and blanket, it appears in homes on December 8 every year and is ‘fed’ with lollies and treats by children. On Christmas Day, it’s beaten with sticks until it poops out presents, which are usually the goodies it’s consumed. 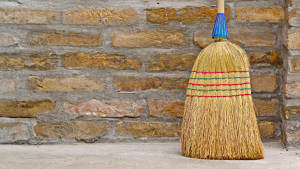 Norway – Hide Your Brooms! Norwegians believe that Christmas Eve coincides with the arrival of evil spirits. Apparently, the night is renowned as a prime broom-joyriding time for evil witches and spirits. There’s no cleaning on Christmas Eve in Norway as all brooms are safely hidden away in case they are stolen or encourage unwelcome visitors to hang around. For good measure, a male family member may pop his head out the front door and fire off a few blasts from a shotgun to show those spirits who is boss. Thanks to advertising in 1974, many Japanese families eat at KFC on Christmas Eve. Kentucky Fried Chicken outlets became popular among foreigners in Japan during the festive season as they often couldn’t find a whole chicken or turkey elsewhere. The fast food chain seized upon this trend with a highly successful marketing campaign in the 1970s and now a trip to KFC is a Christmas tradition in Japan. It is traditional for Venezuelans to attend Mass in the run up to Christmas, however in the nation’s capital city of Caracas, residents have developed an unusual take on this by journeying to Mass on roller skates. Roads are even cleared to provide Christmas worshippers with a safe passage. Greenland has some, shall we say… unusual?… Christmas recipes. Mattak is raw whale skin, served with blubber. Kiviak is made by stuffing small arctic birds called auks into a seal skin, burying it for several months to ferment and eating it once it’s decomposed. Yummm. When German families decorate their Christmas tree, the last ornament to be hung is the Christmas pickle -usually a blown glass ornament that has been passed down through generations. 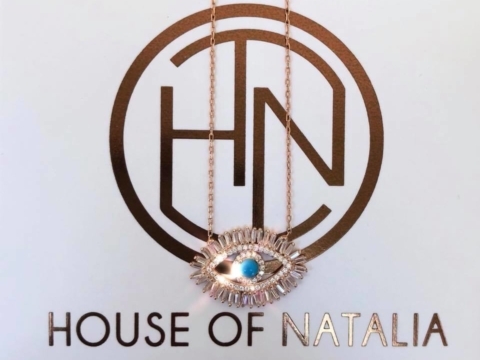 It is hidden away in a hard-to-see spot and the first child who finds the pickle on Christmas morning receives a special gift and good luck all year. Consoda is a traditional Christmas morning feast in Portugal. This is a time for remembering the dead, and families lay places at the table for the souls of their late loved ones. It is thought that the practice will ensure good fortune to households. German children leave a shoe outside their bedroom door on December 5th which is filled with sweets overnight. If you’ve been good. Naughty children awake to find a tree branch in the shoe instead. In addition to standard tinsel, fairy lights and baubles, Ukrainian Christmas trees are traditionally adorned with an artificial spider and web. This is said to bring good luck and its origins lie in the tale of a poor woman who could not afford to decorate her Christmas tree. She awoke on Christmas morning to discover that a spider had covered it in a glorious, sparkling web. Czech women perform a simple ritual during Christmas to determine how successful their love life will be during the following year. Unmarried women stand with their backs to the front door and throw a shoe over their shoulder. If the toe is pointing towards the door when it lands, they will get married within the next year. On Christmas Eve, Estonian families traditionally head to the sauna together. The activity is repeated on New Year’s Eve and Midsummer’s Eve. 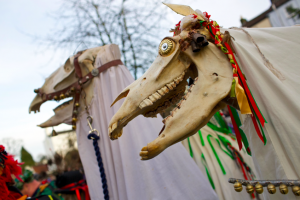 The ritual of Mari Lwyd is performed in some rural Welsh villages on Christmas Eve. A villager parades through the streets, bearing the skull of a mare on the end of a wooden pole while onlookers sing traditional songs. White sheets are used to conceal the pole and the person carrying it. Sometimes the horse’s jaw is spring loaded so that it can snap at passers-by. Iceland – Wouldn’t be Caught Dead in that Outfit! The Jólakötturinn, or Yule Cat, is a monster from Icelandic folklore who lurks in the snow. Those who don’t receive new clothes before Christmas Eve are said to be devoured by this mythical beast. The killer cat dates back to medieval times and was a way to motivate wool workers to work hard during autumn, ahead of the chilly Scandinavian winter. If you didn’t work hard enough to be able to afford new clothes you risk the wrath of the Yule Cat. 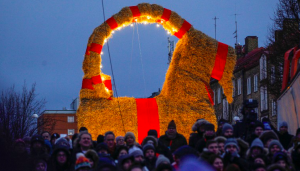 In Sweden, nothing says Merry Christmas like a giant straw effigy of a goat going up in flames. The origin of the “Yule Goat” (or julbocken) is uncertain. Nonetheless, there are lots of goats which typically manifest as tree ornaments and sometimes also as giant straw statues. Since 1966, at the beginning of Advent, authorities in Gãvle famously erect one such version of the giant straw Yule Goat which is destroyed each year in arson attacks. An age-old tradition dictates that each member of the family must stir the Christmas pudding mix in a clockwise direction before it’s cooked, making a wish as they do so. Apparently wearing a pair of red undies on New Year’s Eve will ensure a year filled with passion and love, and wearing a pair of yellow undies will attract happiness and financial success. What will you go for: love or money? 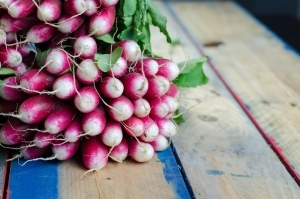 Every December 23 in the Mexican city of Oaxaca, thousands of residents flock to the main plaza for The Night of the Radishes (Noche de Rábanos) to see an exhibition of sculptures cut from radishes. The theme usually includes nativity scenes. The creator of the wining sculpture usually gets their photograph in the next morning’s paper. 20. Slovakia – Dads Hit the Roof! Slovakians have a very messy Christmas tradition relating to dessert to secure future happiness. It’s tradition for the man of the house to hurl a spoonful of traditional loksa (made from poppy seeds, honey, milk and bread) at the ceiling. The more loksa that sticks to the ceiling, the better your luck will be throughout the year ahead. 21. Greece- Light that fire! Last but not least, Greek families leave a fire burning to keep away the Killantzaroi. The Killantzaroi are goblins that emerge from the center of the earth and slip into people’s homes through the fireplace. They are more trouble makers than harmful. They are believed to do things such as extinguish fires, ride on people’s backs, braid horse’s tails, and sour the milk. *This article has been proudly brought to you by Herbal Fix’s RELAX. RELAX is a delicious blend of organic herbs, vitamins and minerals which are known to promote a sense of relaxation and calm. Fix more than just your thirst and get your Herbal Fix today.